The world of VR is starting to come together from several places. The Oculus Rift, which was a crowd-funded project, has kick started the newest wave of virtual reality projects that will be hitting the market this year. Many other companies, such as Sony, Samsung, Sega and others have also latched on to the trend which seems to be gathering much more steam than previous attempts of making VR a phenomenon. One of the more expensive, but more promising products is from the Taiwanese cell phone developer HTC. 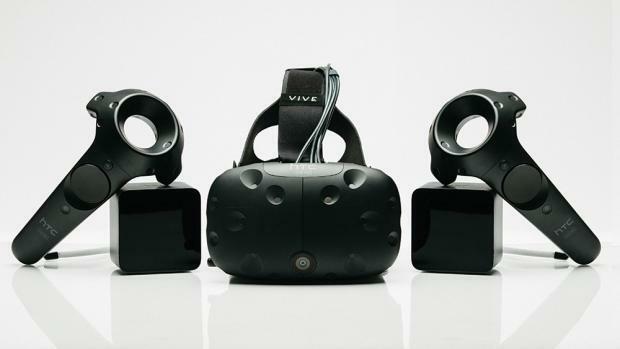 They have teamed up with the mega popular gaming company Valve to create the HTC Vive. Like most VR devices, the Vive is a head mounted unit that will allow the users to experience a virtual space within the confines of their own room. It will also utilize two hand held controllers that will allow users to interact with the virtual environment. The product is extremely high tech, with a 1080p screen, a gyroscope to simulate movement and a front facing camera. It is a little more expensive than its competitors, but the Vive will have over 100 games compatible with it at launch, making it one of the most complete VR systems available.